The long-gestating film is Wong’s first since his English language debut “My Blueberry Nights,” which opened Cannes back in 2007. It chronicles the life of the Wing Chun grandmaster Ip Man from the 1930s in Foshan to the events leading to his death in 1972. It’s been a story in Wong Kar Wai’s mind since 1999, when he saw a documentary about Ip Man. Wong cast his longtime collaborator (“The Grandmaster” is their seventh film together) Tony Leung as Ip, and Leung said at the press conference that it was his most enjoyable experience with Wong so far. 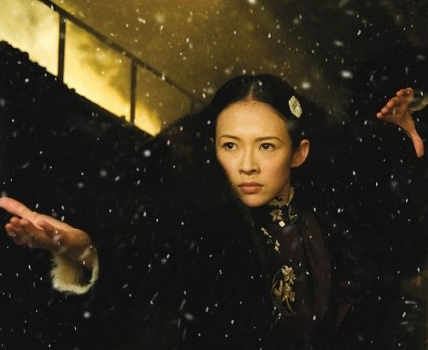 Leung’s co-star Zhang Ziyi (making her second appearance in a Wong Kar Wai film, after “2046”) wasn’t quite as aware of her character, Yip Man’s rival and friend Gong Er. But that didn’t make her experience any less positive — despite noting a gruelling shoot of 20 months over 3 years.